Producing enough quality content is the single largest challenge for any web site owner. You can break down high priority search engine optimization further by looking at the following three factors. Producing quality content, producing enough content and budgeting to produce content. These three factors according to the graph above account for 77% of the challenge. If you focus on these three areas and get it right, you are well on the way to meeting your SEO goals. We will enlarge on these three topics in more detail to help readers understand what they really need to focus on. 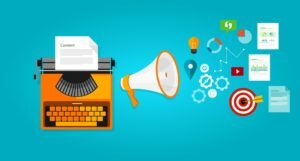 Producing quality content – your readers are looking for information to address whatever question they are trying to answer. The search engines are also trying to make sure they deliver search results that address these questions. make sure your content is focused on the title and the short description provided by the search results. Poor content usually means a lower ranking for starters. If your page title is bang on the subject, but your content is weak or does not address the question readers are looking for they will quickly move to another page or go back to the search results. This is known as bounce rate. If your bounce rate is high, your ranking will descend further. Low rankings likely mean your page will never be seen by readers on the search engine results pages. Posts about your content subject need to be prolific and focused on the products and services that you offer. At the same time writers need to anticipate what search terms readers will use to conduct searches. Write pages for all the common search terms that readers may use to find your products and services. This may take some research to find all of these terms. 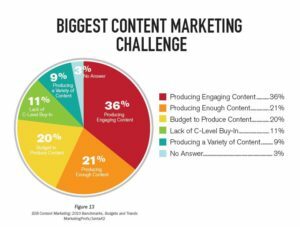 One of the single largest roadblocks to quality content is budget. If you do not allow sufficient time to write high quality content, to update it on a regular basis and to make adjustments as search engines up their game your site will not rank well. Set aside dedicated hours to focus on writing content. Include updating content and improving the technical aspects of your pages on a weekly basis. 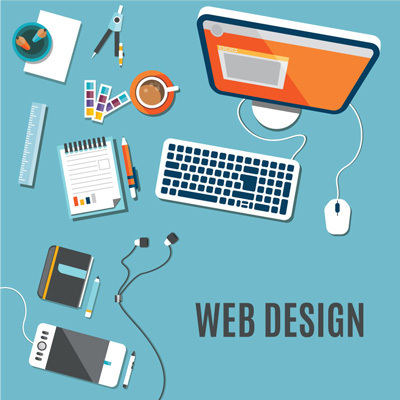 For more information about developing your own website strategy, click here. Whether you are using a WordPress content management system or another system, security of your site is of paramount importance. Security of your old WordPress Website is one area that many website owners forget about. There are many hackers and trouble makers that attempt to hack sites every hour and minute of every day. Some do it for the challenge while others are hack sites for malicious reasons. Many owners of websites figure that they have nothing of value so why would a hacker be interested in them. They aren’t interested in your site. They are interested in gaining access to the server your site sits on and from there doing damage to other sites and systems. Your website will go down in the process as well or deliver content that you may not want your clients, friends and family to ever see. If you have a site that is running an old version of WordPress, update it immediately. This is the first step since older versions leave known vulnerabilities available for hackers to exploit. Before upgrading always make sure you have a backup of your content in case anything goes wrong. Once you have upgraded, test your site to make sure that it is operating the way it usually does. Make any changes that are needed. If you do not already have an application that checks for hackers and uploads that contain viruses, consider using WordFence. They have an excellent app that has a free component and one that has more features that has a subscription fee. Always keep all of your apps and WordPress or whatever content management system you use up to date. New releases will have bug fixes, vulnerabilities closed and new features to consider. For more posts on cyber security and strategy, click here. Every year we take a moment to review what the Trends for SEO in the New Year will be and building web sites to make a living off the internet. This year there are two major trends that appear to becoming even more significant than they already are. If you have not been paying attention to them, it is time you did. They will affect everything we do in the future. These major trends are – focus on mobile everything and smarter more intuitive search. Google has stated that this is the direction they see the networks going. They believe that consumers will naturally follow. Anything Google has to say usually becomes reality since they are such a dominant force in the online environment. We will discuss both of these areas in more detail. They are also interwoven to some extent as well and we will discuss these issues too. Trends for SEO in the new year include mobile and long tail keywords. Whether it is a smart phone or a tablet the world is clearly going in that direction. There are still lots of personal computers around and there will be for many years. They are needed to do the heavy lifting and prepare articles like this one. However, the vast amount of net surfing, email response and messaging is now done on a smart phone or tablet. They are convenient and easy to carry around on your person. If your web site is not mobile friendly, it will be quickly be passed over by the person surfing the net. Google will soon if not already not even present non mobile friendly web pages to the mobile user. If you are using a content management system to manage your website, converting to mobile should be pretty straightforward in most cases. Apps for most of the popular CMS systems are available that can be added to your installation. These apps detect what kind of device is being used by the visitor and then renders the appropriate content in the format that is friendliest to the device the visitor is using. These apps can be installed in a matter of minutes and then configured to meet your personal needs for your content. Don’t wait, get on this trend immediately if you haven’t already. Google still uses keywords to find what ever the user is looking for. The keywords and the search activity is changing. Instead of entering a few relevant key word for Google to try to figure out what the person is really looking for, many people are now posing full questions. They are using voice search commands and posing their questions accordingly as if they were talking to another person. For example, if you wanted to know how old Pamela Anderson is, you might enter her name and the word age. Goggle would figure out that what you really wanted to know was, how old is Pamela Anderson. Consumers with smart phones and voice recognition are using these tools to initiate a search by simply asking the question, how old is Pamela Anderson. Web site managers and content administrators need to configure their content accordingly to help Google present the most relevant information and websites to address this sort of search instead of just focusing on key words. The use of long tail key words is becoming even more popular than it already was. Stay tuned for more posts about various trends in the new year. 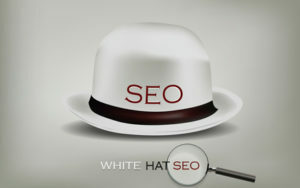 For more ideas about SEO, content, and web site design, click here. What is the minimum that a web owner or administrator should consider for security of their site and the content? This is a question lots of people wonder about. They typically do not take any action until they have been compromised. Then it is too late. Setting up minimal viable security is actually quite simple, it just takes a little effort on a regular basis depending on the size and complexity of your site. Always use a content management system. They will help you to be much more efficient and consistent with the design of your sit. WordPress is a very popular site that many web owners use. Always keep it and the templates you use up to date to protect from any vulnerabilities and hacking attempts. Your host provider should have good account isolation between your account and anyone else who is on a shared server. If not, a hacker who gets into another site can easily migrate to your site and compromise it. There are lots of hosting providers. Choose one that has been in business for some time and one that has a good record. Always update your CMS (WordPress), themes and plugins as soon as they are available. Updates will include bug fixes. Updates plug vulnerabilities. New updates add new features. Always use a reliable source for any themes or plugins that are employed on your site. Use a password generator to generate your passwords. They will be strong and more difficult to break using blunt force attack approaches. Always use caps, lower case, numbers and special characters. Keep your passwords unique across various sites and applications to provide added security. If you had a guest account or an account for a writer that is no longer doing work for you, remove the account. Only provide access to trusted resources with limited functionality. Most content management systems including WordPress use the default account name, Admin. Everyone knows this and it is one less thing the blunt force hackers have to try to figure out if you are still using this account name, Change the name before you begin adding a lot of content. Rename your account name now if you are still using Admin. If you maintain many sites, you will appreciate the time saving nature of this suggestion. Also it means that if an update is provided to plug a hole, your site will be updated quickly before anyone has a chance to break into it. Wordfence is one that provides both in a free version as well as a paid subscription with more features. These systems will scan IP’s coming to your site. They monitor their activity. These systems will lock them out if they are suspected of nefarious activity. There are literally millions of attempted hacks every day. These systems are constantly updated to catch the latest techniques and block them. The may seem a lot to cover for Setting Up Minimal Viable Security, however in today’s world it appears that this is what we need to do to protect ourselves. For more information on cyber security and protecting your content, click here. Should your small business outsource your web site design and SEO work? Maybe you want more control over the resources and would like to have them located within your organization. Every company will have different SEO outsourcing strategies depending on their size and and more importantly their objectives. At the extreme if you just need a basic web site, outsourcing is definitely the way to go. All you need to do is provide the basic information about your company. An outsource web site development company can have your web site up in no time. Conversely a company who has a lot of content, changing content, and a specific target market may want to bring the content and web site development in house. Then there is the location of your SEO team and who they should report to. So many questions and all you want is a web site. There are many different situations that will drive various SEO outsourcing strategies. The following are situations, economic, manpower and expertise issues that should be considered in your decision. In every category, there needs to be someone accountable within the company who has a mandate to drive an online presence and controls the budget as well. If there is no budget it is a non starter as far as building a web site. If there is no leader or person accountable for the website regardless of who designs and builds it, the site may be doomed. Some person must take ownership for all of the decisions both technical as well as design. It does not mean they need to be experts in the field, but they do need to own the decisions and the process. Small Companies – with few employees, they have little time to spend on design, development and maintenance of a site. Most will outsource these functions and relay on the outsource company to provide all of the necessary technical and SEO expertise. May have a small group or at least one resource dedicated to the online presence and website activities. Large projects will be outsourced, while day to day maintenance may be completed by this resource. He or she is still responsible for the overall design and development of the site and the content that is presented on line. They need to work with other internal resources to make sure messages are clear and on target for whatever the objective of the site is. Large Companies – will often have a large in house team responsible for everything to do with the companies internal and external sites. They will interface with other members of the company to collect content ideas, marketing ideas, customer support information etc. It is their job to make sure it is current and up to date. Online Retail – these sites require a great deal of tweaking and customization to ensure they are current and up to date. Financial functions must run smoothly and accurately. Control, site design should definitely be in house. Outsource ongoing development efforts. Information – sites are often more static and do not need the constant updating that many other sites require. Once the site is developed and online, the maintenance etc can often be handled internally by single resources. Security – Responsibility is definitely internal, however the field of security is complex and changing all of the time. Hackers will constantly be looking for ways to gain access to the companies server. Many companies employ an internal resource who may work closely with outsourced security resources. All of these categories as well as internal company politics must be considered when you are developing your companies SEO outsourcing strategies. One of our readers asked the question, “what percentage of duplicate content is acceptable?”. This is actually a very complex question. The easy answer is that website owners should not have any duplicate content. But what about things like addresses and phone numbers that might appear on many posts? Or what about warranty and guarantee information that might have its own page, but is repeated on other service related pages? There are numerous legitimate situations involving duplicate content. Sometimes writers will quote other websites and provide links to them. Technically this is also duplicate content, however as long as it is referenced and there are links to the original content it should be ok. There is truly a fine line that writers use to create content and avoid being labeled as duplicate content. Even referrals are questionable if too much of the original content is used on different pages. What do the various search engines think about this. Obviously they want to have all original high quality content on all index-able pages. Even Matt Cutts at Google admits that some content will be duplicate, however it should be a small percentage of your overall content. He would prefer that writers address customer questions and try to help readers rather than spend time copying other peoples content. We decided to include content that search engines love and answer the question. Posts that are in excess of 1200 words, however shorter posts that answer a readers questions are fine too. Don’t add fluff just to get to 1200. Provide real value to the reader. Use meaningful keywords, keywords that readers actually use in their searches. You may have to do some research to find them. Add Content that lasts. If it is relevant today, it should also be relevant 2 years from now. Make it readable with bullets and short paragraphs. Readers love pictures. Use pictures and label this properly so that they can be indexed by the search engines and provide something of value to your readers. The title is the first thing your readers see. It should be engaging and interesting. You want readers to open your page based on the hints in the title and the meta data that the search engines provide. The bottom line is add valuable content that readers need to help them solve whatever problems they may have. Write it to last for many years and be relevant. Your adding content, maintaining the basic design, a good balance of images and crawl-able text, yet you are not getting the traffic that you feel that should be coming your way. What changes should you make and how far should you go. 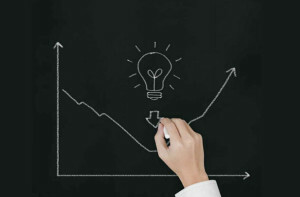 Is there a light bulb moment as shown in the diagram that changes everything? What about the investment that has already been made in time, design, writing etc. Do you just through this out and start over? There are so many questions and most website owners as well as web site managers just do not have the time to deal with these kinds of issues. It is important to have a strategy for your web site – what are the objectives, what customers are you trying to reach, what is the best way to reach them and how much investment do you make in this aspect of your business compared to other possibilities. These are hard decisions to make and most people will just go on doing the same thing until something happens that forces them to change. In addition, the search engines are constantly updating their search engines all of the time to try to deliver a better result to their customers who pay the bills. Every customer will have a different strategy, but the point is that they need to have one before they even begin building a web site and they need to have a strategy before they begin making serious changes to an existing web site. They also need to understand the changes that they will make to existing sites and what impact this will have on search results. For about building websites, SEO and the strategy behind it, click here. All websites, regardless of whether they are for large companies or small businesses should always have a set of objectives. They should have a strategy for achieving those objectives. The objective should be geared towards whatever it is that they’re trying to achieve with the website. It should support your objectives to increase sales or to drive business to the company. One area the web developer should pay particular attention to is the quality of the content, the freshness of the content and the ability for the search engines to index their content. We have all encountered websites where the content is almost next to useless. These have been written just to obtain search engine results. But they do not offer anything to the consumer or anyone searching on the Internet for a particular topic. The search engines are trying to de-index these websites and this is the main reason why website should have excellent content and why the content should be kept fresh. Old content can quickly become out of date and as far as the search engines are concerned will be given a lower index rating as a result. In addition if this content is about your products or services, business owners will want to ensure that the content is kept up-to-date and currently reflects the services and products that you offer. We have developed the following strategy for keeping our content up-to-date on our own websites. Our websites are principally aimed at providing information to the consumer and therefore we recognize the value of that content being kept up-to-date and accurately reflecting current issues as well as information that consumers are looking for. Here’s our strategy. Depending on the subject of the website and reader interest, new content will be added at least twice a month and in some cases once a week to provide readers with new information about the subjects they are interested. This also tells the search engines that new content is available to be indexed for consumers conducting searches on these particular topics on a regular basis. Older content should be reviewed and updated on regular basis to keep it current and fresh. There are several ways to do this. Our decision has been to focus on older content that is short duration. We also focus on older content that has not been touched for sometime. Posts are sorted based on size from smallest to largest. The smallest post is an updated by adding more content. We increase it in size compared to the next smallest post. On average our posts will be come larger overtime. At the same time, all punctuation and grammatical errors are corrected. Some of our posts already pretty good and just need to be updated. We want to show that they are still current to the search engine crawlers that crawl websites every second of every minute of every day. All posts are sorted based on the last time that they were updated. We then update the oldest post. We may add a few comments or improve the content of the post in some manner. All of this work is aimed at keeping our website current. We are following these steps typically once a week or once every two weeks depending on the website.